Many people have seen great success with keto diet as far as weight loss, health enhancement and everyday energy levels are concerned. And while quite a few old and rusty doctors still look down on the current trend of low carb diets like keto, there’s overwhelming scientific evidence that the state of ketosis has numerous health benefits. Some of them are lower blood pressure; drop in cholesterol, increase in HDL cholesterol (that’s the good kind), much smaller spikes in insulin levels, more energy, clearer thinking, better sleep patterns, weight loss… and much much more. In this blog, I’m going to give you my “11 minute approach” to keto diet. What that means is that after reading this (which should take about 11 minutes, hence the name), you’re going to know exactly how to start yourself on a keto diet and enjoy all the spoils that come with it! Common roadblocks & main fears about keto: what to do if you feel like crap after starting keto, if you’ve stopped losing weight, why the amounts of fat you’ll consume on ketogenic diet don’t matter as much as you think… and more! So that’s what you’re going to find out in a nutshell. First, let’s start with how keto diets work. Then I’ll show you how all of this is relevant to you as someone who wants to improve their health, lose weight and have more energy, and finally – how to get started. The (admittedly very basic) science behind keto diets is that eating very few carbs (0-50 grams per day) tells your body to switch to a metabolic state called ketosis which starts burning fragments of fat called ketones for fuel – instead of glucose. Once your body is “switched”, a series of adaptations take place. That’s why some people report feeling like crap during the first days on ketogenic diet. More on that later, but in a nutshell, it’s something you just have to get over if that happens to you. Most people, however, adapt keto diets without a hitch. So what’s the big deal and what does that mean to you? Because this is an effective way to control your blood sugar (and your body will prefer fat instead of glucose for energy), in most cases it means impressive weight loss. Plus, a huge advantage of keto diets over others is you’re getting all the nutrients you need and you’ll feel satisfied and satiated all the time instead of hungry, irritated and desperate… which makes it easy not to quit and keep up the results long term. Focus most of your meals on a protein and a fat with a side of vegetables, like a steak with a side of sautéed spinach. See, a ketogenic diet isn’t something you need to go out and buy “special” foods for. Ketogenic foods are just your everyday foods. All the difference is made by avoiding carbs! To ensure your success with keto diet, rummage through your kitchen cabinets and fridge and throw out all high carb foods – including whole grain “complex carbs”… and then restock with low carb foods. Once your part of the Reset Factor Online Program Community you can watch the video I did at my friend’s Bonnie’s home cleaning out her fridge and pantry of all harmful foods. If you’re not alone and others in your household don’t want to adopt a keto diet (their loss! ), just come up with a pact – anything to keep you off carbs for the first few days. After that, your body will adopt and you won’t crave them at all. Remember to stay hydrated – as you take in less carbs, your kidneys will start dumping excess water your body has been holding due to high carb intake. And lastly, find some way to track daily food intake and carb counts. It could be something as simple as a notebook, or MyFitnessPal app, or you can go all out and create a complex Excel spreadsheet. The point is to keep tracking at least for the first week until you get the hang of this. Oh, and if you want to track whether your body really is in ketosis, grab some ketostix in your local pharmacy… this way you’ll know for sure. I don’t really use them, but you might find it useful. To recap, the gist of it is to “switch” your body to ketosis state by focusing your meals on a protein and a fat, and avoid carbs (count your carbs to make sure – at least at the beginning). One thing I particularly like about ketogenic diet is the immediate boost to the quality of your life. You’ll be swept off your feet with the amount of energy you’ll have. I can only compare to feeling at least 15 years younger. It’s a terrible cliché… but that’s exactly how it feels. You’ll be able to think clearer, too. And you should experience lower blood pressure, drop in cholesterol, decrease in stiffness and joint pains and much more. Plus, as already mentioned, the lack of hunger will make following a keto diet easy. Also, don’t “cheat” with artificial sweeteners. If you do that, you’re always just one bite away from relapsing. On the other hand, if you avoid sweets altogether and work through the cravings, they’ll go away quickly and you won’t be dependent on a snack to keep you going. It’s easy to keep keto’ing while eating at the office or on the move, too. Remember – most restaurants offer low carb foods, and even if they don’t you can always ask them to make something for you – like a burger without the bun, or replace the fries with salad… it’s pretty easy. Unless your doctor has a good medical reason why you can’t be on a low carb diet (in which case you should listen to your doctor)… don’t fall for what most doctors say that the only diet that works is “low fat, balanced diet”. In fact, there’s more and more evidence that’s just not true. Remembering these 4 things will help you get results a lot faster… and without unnecessary effort. Here’s a couple of nice keto meal ideas if you don’t want to spend a lot of time cooking, if you’re new to all this or if you live with non-keto family. If these will seem simple to you… it’s because they are. Remember, ketogenic diet is only as complicated as you make it. 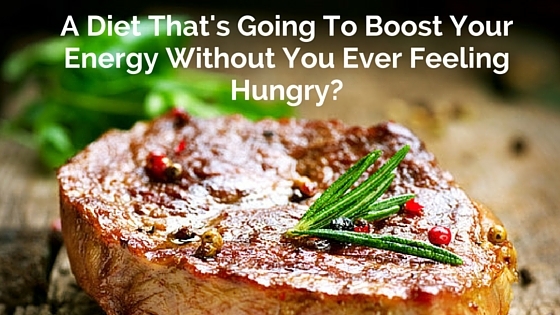 You can get by with very basic foods and still feel great! So let’s look at a few ideas. Tuna salad. Grab a can of tuna, add some salad, some celery and a little mayo if you want. Make sure the tuna is wild caught and of high quality and that the can it’s packed in is BPA free. Buy only organic salad and celery. And you can make your own mayo or buy a brand without harmful vegetable oils, sugars or preservatives - like the Primal Kitchen Mayo made with avocado oil and all organic ingredients. Don’t go too crazy on this though – canned tuna often contains a lot of salt so you might want to limit this to 3 times a week or so. Nuts and dairy. Mix whatever nuts you like with yoghurt, cottage cheese or cream… but pay attention to what it says on the packaging – some of these products aren’t keto compatible at all! Stay away from any flavored yogurt as those a loaded with sugar and chemicals. Only buy raw organic dairy products. I find mine at our local farmers market. Eggs. Personally I like scrambled eggs but you can have them whichever way you want. Buy organic pasture raised eggs. Did I tell you that this is going to be mind-blowingly simple? Now the meals above are more suited for breakfast (or, if you want, it can be a quick snack – just make sure you stay under calorie limit). Let’s look at some more ideas that are more suited for lunch and dinner. Bun-less burgers. It is every bit as awesome as it sounds. What you do is you cook the burger patty, garnish, and then wrap in lettuce and voila – a keto burger. Tasty! Buy all organic, sugar free garnish and avoid pickles that may be loaded with sugar and preservatives. And make sure the meat is organic, pasture raised beef or organic turkey. Deli meats & cheese. Doesn’t require any cooking… and is great if you’re in a time crunch. Buy only organic deli meats without harmful chemicals and raw organic cheeses. Add olives or spinach to get your fiber! Organic of course! Steak and eggs. Quick and easy, this recipe will meet all your macros plus a healthy serve of greens. Takes about 20 minutes from start to finish and there’s nothing to it – cook the steak, cook the eggs, add spinach and that’s it. Always buy organic, pasture raised beef and eggs and all organic veggies. For more keto friendly recipes check out the Reset Kitchen for some of my personal favorites. Okay, so it’s not always roses and unicorns with any diet… and keto is not an exception. You might run into some roadblocks… and you might fall for some of the fear mongering regarding low carb diets. If you feel like crap almost immediately after starting keto, you might have something called “keto flu”… which isn’t dangerous, just irritating as heck. What happens is you’re experiencing withdrawal symptoms of carbohydrates. Your body is learning to use fat as fuel. Keto flu will be over in few days or in rare cases, weeks… and you’ll feel better than ever. If you get stomach aches, it’s probably because you’re not getting enough veggies – take a good hard look at your dietary balance. Same goes if you experience sleep problems – if done right keto will let you sleep like a baby and in some cases, even make sleep apnea go away. If you’re still gaining weight, you might be making the mistake of thinking that calories don’t matter once you go on keto… and nothing could be farther from the truth. When it comes to weight loss all that matters (in broad strokes) is calories in vs calories out. The solution is to start tracking (if you aren’t doing that already) your calorie intake and adjust accordingly. Plus it’s ok to plateau for a few weeks – that’s completely normal and you shouldn’t worry about it. Low carb diets are hard to stick to. They say it’s an “extreme” change and a “fad” and it won’t stick so you’re better off with the tried & true low fat balanced diet. That’s not true. Since you’ll be feeling way less hungry it’s actually easier to keep eating keto than most other diets! Low carb diets are high in saturated fat and therefore dangerous. Again, not true. The common misconception that saturated fats and cholesterol are bad for you, is just that – a misconception. A massive study came out in 2010 and found that there is absolutely no association between saturated fat and heart disease. As you can see, there are little drawbacks and there is no proof that keto is bad, dangerous, or anything. Of course, you should always consult a doctor if you don’t feel right, but generally keto is very safe and very effective. It’s absolutely possible to hit the weights (or do cardio if that’s your thing) on keto. In fact, a lot of people swear by this combination because it helps them burn fat while keeping muscle relatively intact – which creates a nice definition to their bodies. That’s something ordinary low fat, balanced diets that rely only on calorie reduction aren’t able to accomplish. On those diets, your body often burns muscle first, creating a catch 22 situation – you can’t lose weight effectively because you don’t have enough muscle, and you can’t build muscle because you’re trying to lose weight.